Looking for your bill? You can access it through MyAccount. If you don’t have an online account, registration is easy – it takes just a few minutes! This interactive bill allows you to find detailed explanations quickly and easily for each section of your bill. Simply use your cursor to highlight a line item of interest and a box will appear providing you additional detail. 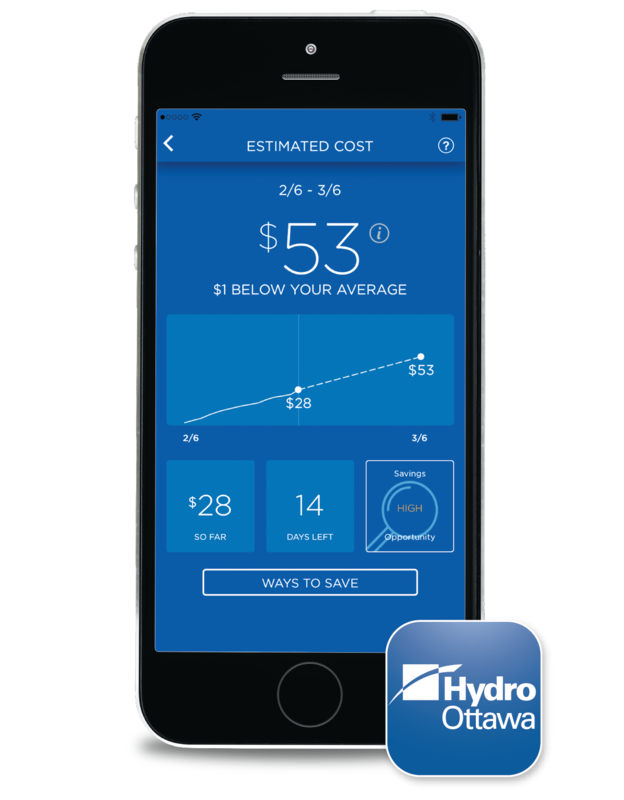 Hydro Ottawa offers many different options to allow you to make simple, on-time payments. Choose the method that’s most convenient for you. Inserts that cover a range of information such as important safety information and tips for reducing your electricity consumption may be included with your bill. With Hydro Ottawa's Equal Monthly Payment Plan (EMPP), you can even out your payments over time. Your monthly payment amount will be based on your projected annual electricity use and the price of electricity. Hydro Ottawa is responsible for the safe, reliable delivery of electricity to more than 332,000 customers in the City of Ottawa and the village of Casselman. As a community company, Hydro Ottawa is committed to delivering value to its customers by providing safe and reliable service. The Delivery Charge covers the costs of delivering electricity from generating stations across Ontario and then to your home or business. It includes the costs to build and maintain transmission and distribution lines, towers and poles and to operate provincial and local electricity systems. 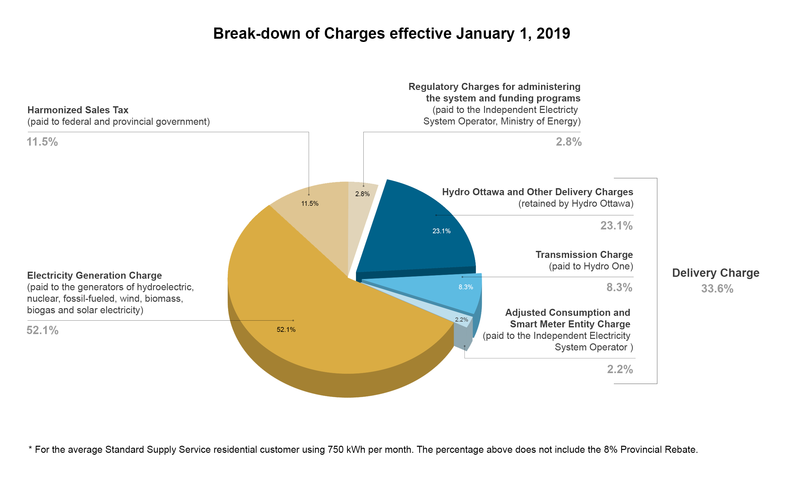 Hydro Ottawa’s distribution charge, which is included in the delivery charge, represents only a small portion of your bill. Ontario’s system-wide electricity supply mix is evolving. Fostering a culture of conservation and developing renewable sources of energy are key elements of Ontario’s electricity future. This can be seen in the diversity and growing availability of alternate power sources coming online in Ontario’s power grid. However, to meet the increasing demand for power in the future, it remains important to reduce our consumption now. Please do your part in promoting the adoption of clean energy sources. Visit our conservation section for some great tips and programs to save you energy.